GARY SHAW: "TIMMY WAS VERY ILL-ADVISED...I DON'T GET THE DISLOYALTY"
"If it's his own mind telling him this, then he made a bad mistake, and if he took other people's advice, Timmy was very ill-advised. To pass up this kind of money and to pass up a shot of beating Amir Khan makes no sense to me or any of the fans. I know that I surely have haters, but no one has written me once hating on this fight and what I offered. You know what Percy? I don't get the disloyalty. If I was robbing fighters like other promoters have done over the years, that's one thing. I've never robbed this guy. I paid this guy great money to fight Abregu and now I'm offering him $2 million. That is great money for a lot of people," stated promoter Gary Shaw, who spoke more on Timothy Bradley's decision to turn down the title unification with Amir Khan. You don't want to miss what else he had to say! PC: How is everything going Gary? GS: I'm doing great, thanks. PC: I have been getting a ton of emails about the offers that Timothy Bradley turned down to fight Amir Khan. I wanted to let you clear everything up and let our readers know exactly what was offered and turned down. GS: He turned the fight down. The original agreement was for the winner of Alexander/Bradley to fight Amir Khan. We won the fight and we got the fight with Amir Khan and Khan stood up like a real man. We made the deal and it was a 50/50 deal, and then after all of the negotiations, he [Khan] was willing to give me 50/50 on his pay-per-view (laughing) in England, which is unheard of. So I offered Timmy 1.4 million dollars, a lot more than what Alexander is getting for his next fight, plus an 80/20 deal, which means he gets 80% of all of the profits above 1.4. So the sky was the limit and we got the pay-per-view in England, which nobody believes that we got; and we did. Then Timmy said no. Now, whether it's Timmy or Cameron Dunkin, I don't know, but this stupid stuff that he's saying, "I want to be promoted, man. I want to be promoted, man. I want to be promoted." How in the hell does he think he got where he was? He got there because he was promoted. He didn't know why he was fighting in England? He must have amnesia now. He fought in England because we got the chance to fight Junior Witter for the world title. That's why he went to England. We didn't go there for rice and beans. PC: You took a lot of criticism for working very hard to keep that Alexander fight out of St. Louis. GS: I did everything that I could and I took all of the heat in the world for going to Detroit, but I felt that anyplace was better than St. Louis. And this thing where he keeps saying I should have done rallies where he lives; this isn't American Idol, this is boxing. He shouldn't need a rally. I brought him to his hometown to fight more than once. PC: It's gotta be frustrating as his promoter to win the fight that everyone was looking forward to in the Alexander fight and then have him go M.I.A. on you where you can't promote him. GS: Yeah, it's a major setback. And now he's using the date, because we had to fight by June 30th and the fight was July 23rd. He always knew the fight was July 23rd. He's on record as saying that, and now he's forgetting what he's talking about. But you know what? It will all work out. I know that Thompson Boxing, Ken Thompson and Alex Camponova and myself, always have the best interest of the fighter. I just think that this was...if it's his own mind telling him this, then he made a bad mistake, and if he took other people's advice, Timmy was very ill-advised. To pass up this kind of money and to pass up a shot of beating Amir Khan makes no sense to me or any of the fans. I know that I surely have haters, but no one has written me once hating on this fight and what I offered. You know what Percy? I don't get the disloyalty. If I was robbing fighters like other promoters have done over the years, that's one thing. I've never robbed this guy. I paid this guy great money to fight Abregu and now I'm offering him $2 million. That is great money for a lot of people. PC: I don't see a fight where he could make that kind of bread, that's for sure. GS: No. If he thinks he's next in line to fight Pacquiao, stand in line. Pacquiao's fighting Marquez. If Marquez happens to beat him, they will do a rematch. If Marquez doesn't beat him this time, I think they do Mayweather and Pacquiao. PC: Boxing recently inducted some all-time greats into the Hall of Fame: Mike Tyson, Julio Cesar Chavez and Kostya Tszyu. I'm not a fan of Sylvester Stallone getting in. what are your thoughts on the inductees and do you feel Stallone should be in there? GS: I absolutely believe that, other than Sylvester Stallone, this was the class of all classes. I mean, these guys are true Hall of Famers. 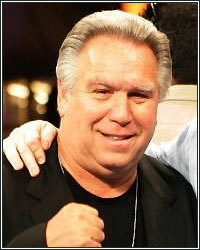 A guy who plays a part in a movie should not be in the boxing Hall of Fame. And if you're going to put him in, it's gotta be in a different ceremony. You can't have him standing there with Tyson, Chavez and Kostya. PC: Yeah, I recently did a radio interview and I asked the question, "Could Burt Reynolds get into the NFL Hall of Fame for the Longest Yard?" GS: Exactly! Very well said and I never even thought of that and it's so true. Are you gonna put these guys in the NASCAR Hall of Fame for Cannonball Run? It's wrong and it just demeans our own sport. I like Sylvester, he's a very nice guy, but it should have just been a special induction if they wanted him in that badly. PC: Boxing also recently lost Genaro Hernandez. What are your final thoughts on him in and out of the ring? GS: As a fighter, he fought the best out there. He was a great fighter and the warrior that he was inside of the ring, he was that same warrior outside of the ring. He was truly a true gentleman and it's unfortunate that the good die young and the bad continue on. That speaks for itself, but let him rest in peace and may he be accepted in Heaven with the rest of the champions. PC: Chad Dawson and Bernard Hopkins seems to be a reality now. Chad has gotten a win under his belt after suffering his first defeat. I'm sure you like your guy a lot in that fight. GS: Oh yeah, 100%. I go back a long time with Bernard and I like Bernard. I have a good relationship with him, but unfortunately, he spent a lot of time running from Chad. It took a lot to get Chad back on track. I'm glad Bernard won the fight. I was rooting for Bernard because once and for all, Bernard and Chad are gonna fight this fall on HBO, so that's really exciting for me.